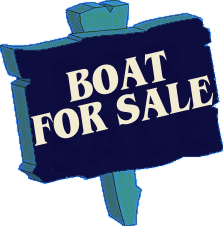 Hayward Marine offers winter services and Boat Storage packages to meet your individual servicing needs. 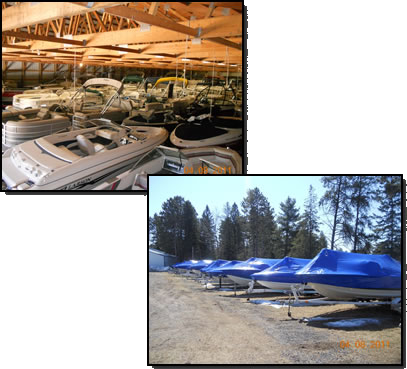 Choose our indoor Boat Storage and winterize package or our outside with shrinkwrap and winterize package. We can pick up your speedboats, fishing boat, or pontoon boats at your dock or meet you at the landing. Also, if you store with us, we will store your trailer in the summer at no charge to you. If you don’t stabilize the fuel, carburetors and fuel injectors can be clogged with varnish deposits that ruin fuel systems. Aerosol fogging solutions coat the inside of the engine to protect it until spring. Each engine manufacturer makes proprietary products they promote as ideal for their engines. If you don’t fog the engine cylinders, corrosion can form inside the engine, covering the cylinders, pistons and rings with abrasive crud. If you don’t drain the engine, water in the cooling chambers can freeze, expand and crack the engine block and manifolds. Change engine oil to eliminate moisture and prevent corrosion. If you don’t, moisture can cause excessive wear, which can lead to loss of power, poor fuel economy and possible engine failure. Clear, amber-colored lubricant means your gear-case seals are in good shape. Milky and sometimes lumpy oil means the seals need to be replaced.